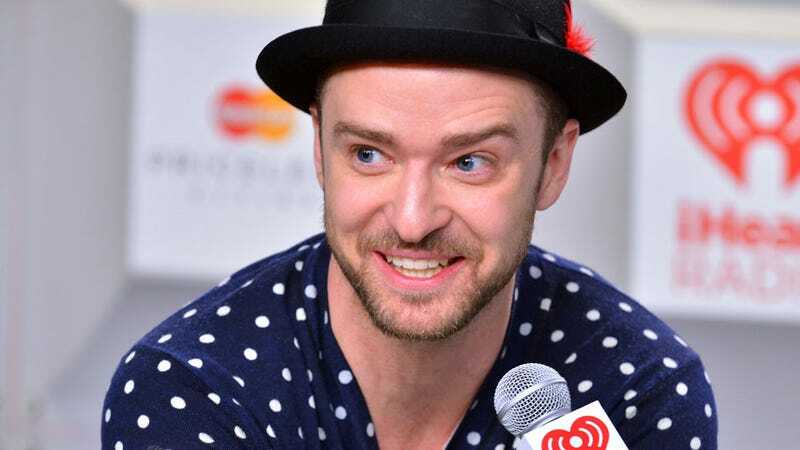 Jaed Coffin was once in the running to ghostwrite Justin Timberlake's memoir. That book still hasn't been released (or written for all we know), which is probably for the best given that Coffin's brush with the Timberlake was blander than the chicken sandwich the pop star expressed interest in spitting at a fan during Coffin's sole encounter with him. In fact, that moment is the candid highlight of an otherwise awkward-at-best meal with Timberlake. And that's really about it. Unsurprisingly, the guy who has a song called "True Blood" about vampirism on The 20/20 Experience Part 2 has very, very little to say even when he's not officially on the record.